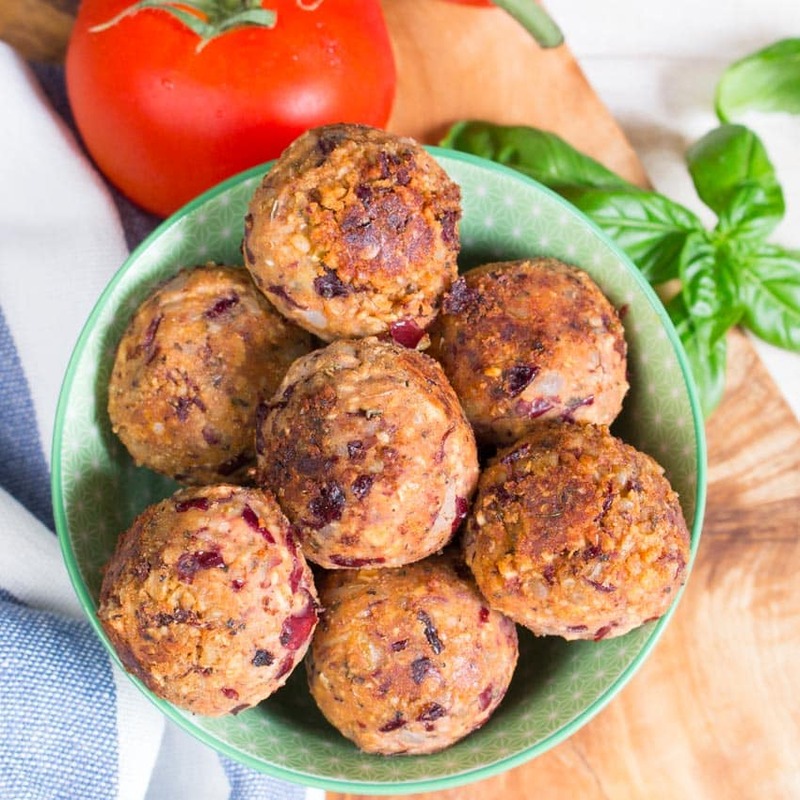 Vegan meatballs! I stumbled upon a blog called Vegan Heaven a few months ago and they’ve go some great recipes! This one included, so I decided to give it a whirl. 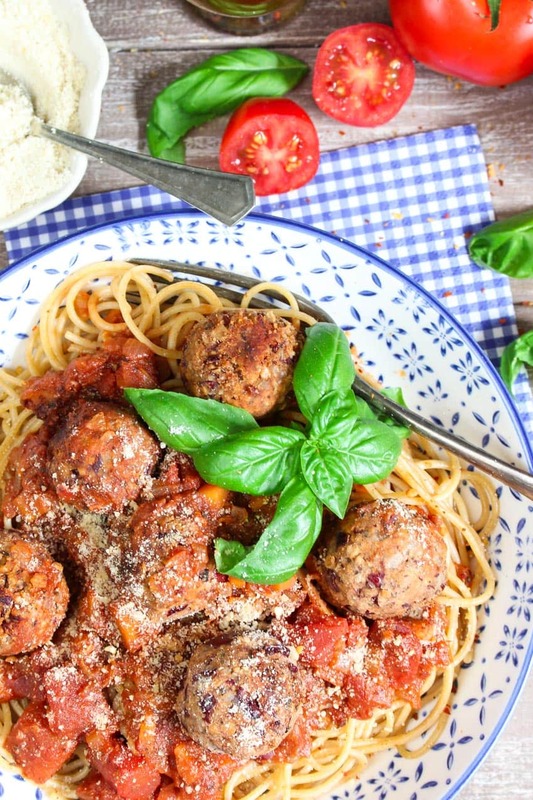 When I think of spaghetti and meatballs, the first thing that always comes to mind is the scene in “Lady and the Tramp” with the spaghetti slurp kiss and the meatballs…. I still remember how mad I got at the two Siamese cats for bringing Lady into trouble haha. You can’t go wrong with the Disney classics! This recipe is suuuuuuper easy! 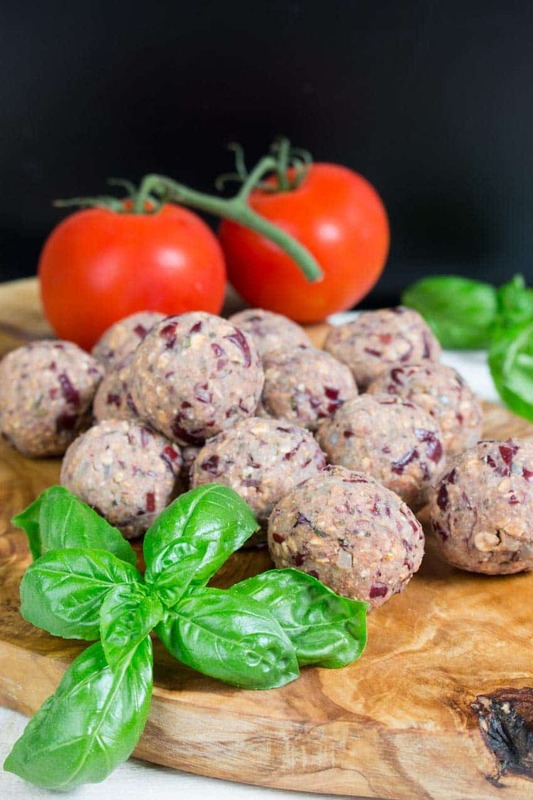 All you need is a can of kidney beans, sunflower (or flax) seeds, rolled oats, garlic, half an onion, and some spices. The sunflower seeds are a great source of vitamin E, magnesium, and selenium! Rinse and drain the kidney beans. Put them in a medium bowl and mash them well with a fork. In a medium pan, heat some oil (or water) and sauté the onions for 3 minutes. Add the minced garlic and cook for another minute. Add the sautéed onion and garlic to the mashed beans together with the spices, tomato paste, soy sauce, and oats. Put the sunflower seeds in a food processor and pulse until a fine meal is achieved. Add to the bean mixture and combine well. Season with salt and pepper. Form about 12-14 balls. Make the marinara sauce: In a medium pan, heat the olive oil (or water) over medium heat. Sauté the onions for 3 minutes, then add the garlic and the carrot. Cook for another 2-3 minutes. Stir in the tomato paste and cook for 2 minutes. Then deglaze with red wine and allow to evaporate. Add diced tomatoes and simmer for about 10 minutes. Season with oregano, salt, and pepper. Before serving add some fresh basil leaves. In a medium pan, heat some olive oil (or water) over medium heat and gently roast the bean balls for about 4 minutes until they are golden. Soooo goood! What’s your favorite vegan pasta recipe? Images Courtesy of Vegan Heaven.